North Mymms is rich in WWII history. The Outer London Defence Ring, set up to deter an invasion on the capital, runs through the south-east of the parish. 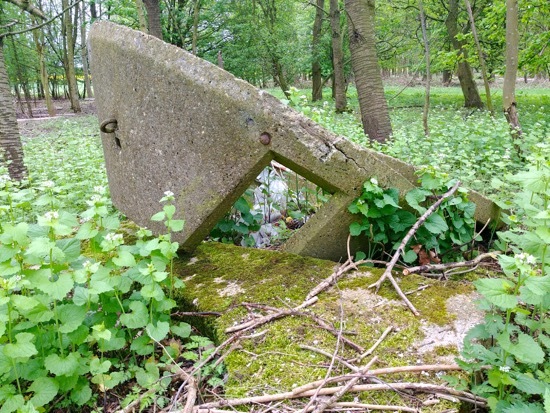 Close to that line, and scattered elsewhere throughout North Mymms, are items of wartime archeological importance in the form of pillboxes, tank traps, gun emplacements, a Tett turret, and anti-tank trenches. 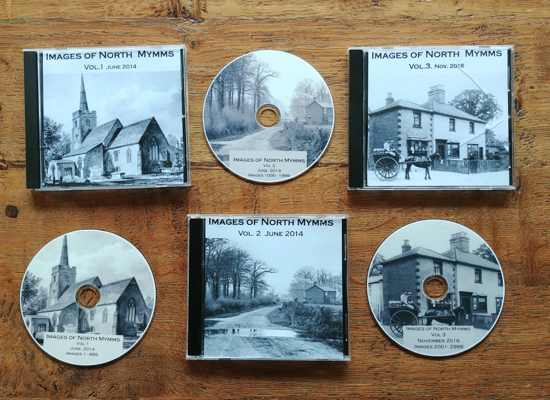 The North Mymms History Project has attempted to map these historical sites as a permanent record of how the parish was fortified for the 1939 to 1945 war. An interactive map is embedded at the foot of this feature. We have a number of articles on this site which examine the particular types of fortifications built during WWII. 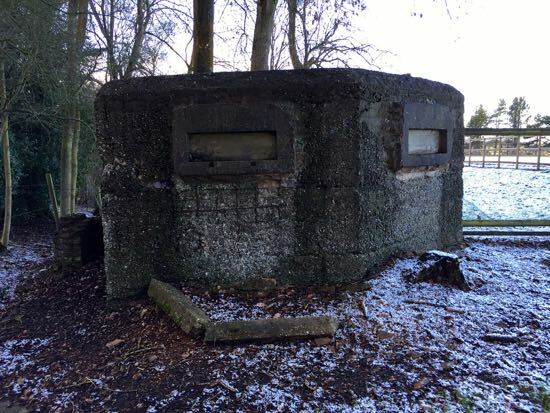 There are two type-24 pillboxes in North Mymms. Both are on private land. One is to the south-east of Boltons Park Farm south of Hawkshead Road, the other is in the grounds of Queenswood School, to the south of Shepherds Way. 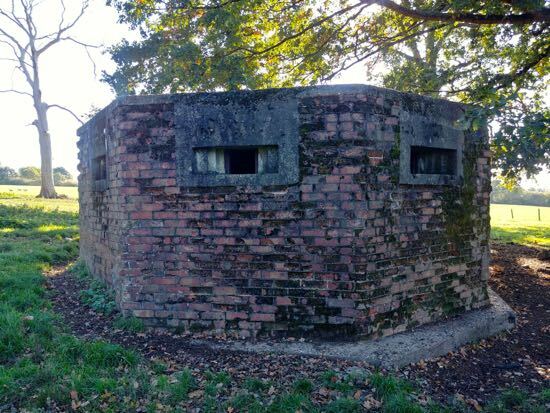 We have more details, including grid locations and photographs of both, in our feature North Mymms pillboxes; part of the local WWII defences, as well as images of two more pillboxes in Potters Bar. 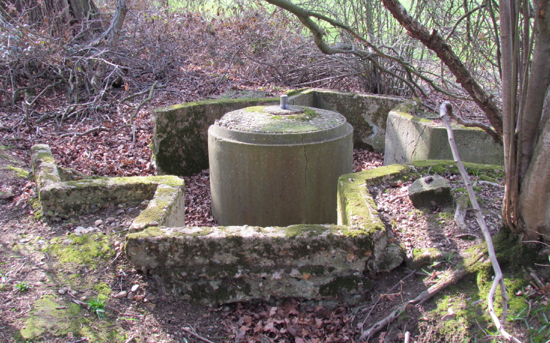 There are several sites where tank traps were placed across the North Mymms countryside. The aim was to prevent invading tanks pushing south towards London. The sites are at Brookmans Park, Bell Bar, Little Heath, Queenswood School, and at the junction of Well Road and Shepherds Way. Some are on private land, others in hedgerows and woodland. All are logged in the feature on this site entitled North Mymms tank traps. 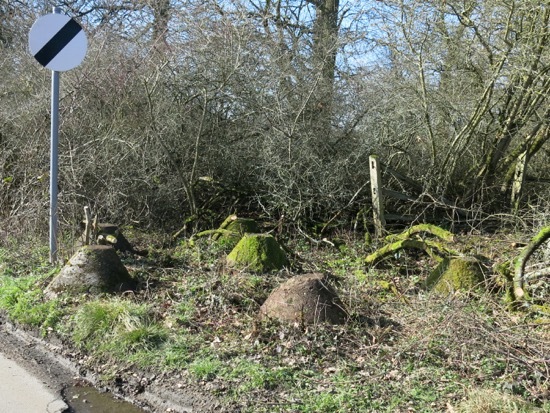 Close to a public footpath (North Mymms footpath 66) to the east of Woodside Lane and to the north of the A1000 Great North Road lies the significant remains of a Tett turret, part of the WWII defences (Grid Ref: TL 25398 05508). You can read more about the Bell Bar Tett turret in an article on this site. Along with the Tett turret, mentioned above, North Mymms has several spigot mortar emplacements. There is one close to Brookmans Park station and three, perhaps four, surrounding the Brookmans Park Transmitting Station. 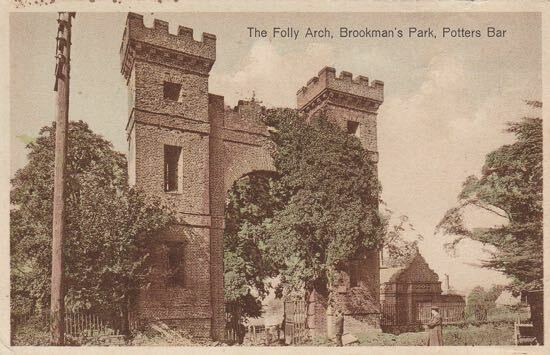 They are recorded in our feature Brookmans Park's WWII spigot mortar emplacements. Below is an interactive map showing the sites that we have been able to locate so far. This is a work in progress. If you know of any sites in North Mymms which we have missed, please use the contact form at the bottom right of any page to let us know. The Council for British Archaeology’s Defence of Britain database lists the following recordings of items for areas surrounding North Mymms.